To securing a purpose to live our life. Our nature endows hope in the being. We are connected, in the ocean of oneness. Categories: art, Life and Living, life education, Nature, Poetry, Writing | Tags: # Motivational writings, #Appreciation # Gratitude #Contentment, #creative writing, life | Permalink. Beautiful and powerful words Savvy. 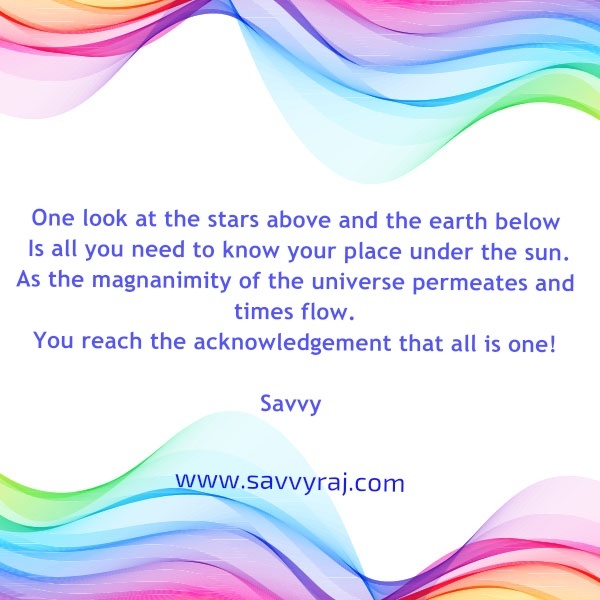 All are One in the whole Universe. Great words so well written.